Sophie Dixon is determined to leave her tragic past behind and forge a bright future on her beloved farm. While looking to buy a new horse, she is drawn into her neighbour Aaron&apos;s Laidlaw&apos;s orbit, despite the bad blood between their families. As the racing season unfolds, Sophie and Aaron&apos;s feelings for each other deepen. But Aaron is torn, haunted by a dark secret he fears can never be forgiven - especially by Sophie. Sophie believes herself strong, but the truth behind her mother&apos;s death will test her strength, and her love, to the limit. She&apos;s been broken once. No one wants to see her broken again. Least of all the man who has grown to love her. An emotional small-town romance about love, loyalty and forgiveness. Originally published in Australia and New Zealand as PROMISES. 5.0 out of 5 starsHorse lovers will love this book! I loved this book. 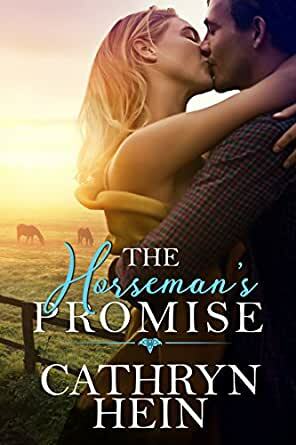 Beautiful love story with brilliant characters and lots of lovely horse scenes. this book is a re-release and re-titled of "the Promise"